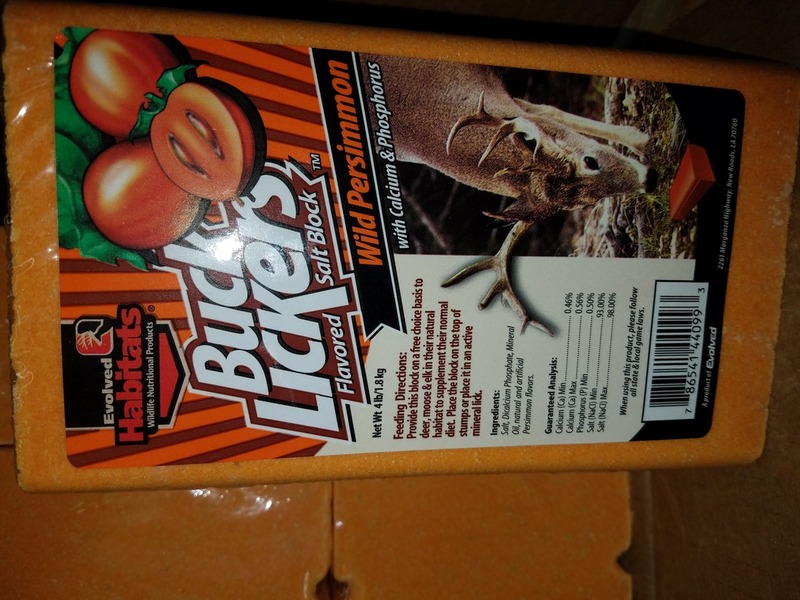 Buck Lickers Flavored Salt Block, Wild Persimmon Flavored with calcium & Phosphorus. 4 lbs. Block. Evolved Habitats Wildlife Nutritional Products.